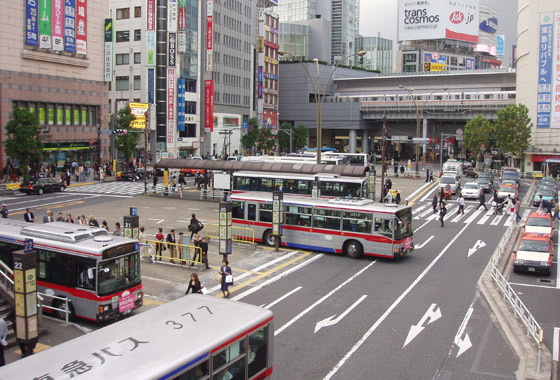 I love this picture because there’s so much going on in it, buses coming and going, floods of people and a train passing through, I think it captures the frenetic feel of Shibuya pretty well. The buildings are plastered in signs for the companies and stores based in the upper floors – this is something I took a while to get my head around as in the UK shops are pretty much all ground floor or based in a shopping centre. Because of this I missed quite alot on my first visit, so don’t forget to look up as there’s lots going on!